The Hatters are in South Wales today, at the wonderfully named Rodney Parade, preparing to take on Newport in a League Two fixture. Recent results have seen Luton`s nine-point lead at the top of the league disappear, the Hatters now sit in second-place, a point behind the new leaders and from team, Accrington Stanley. 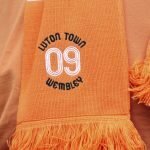 The Hatters need to get back to winning ways this afternoon otherwise doubts could creep in with regards to their promotion aspirations.